A comment is a text submission that occurs under another person's idea. 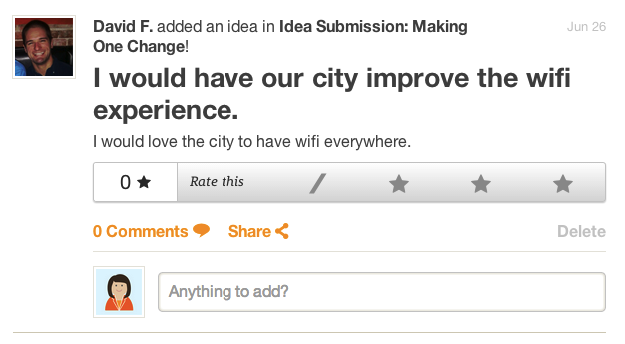 To comment on an idea, click the "Activity" icon located at the top left of your MindMixer site. Under an idea you will find the keywords, "Anything to add?" within the corresponding text box to contribute your comments.